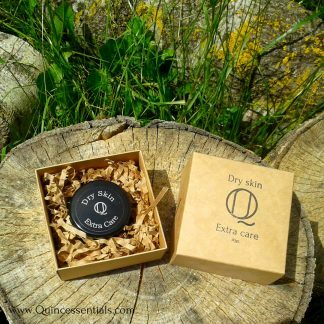 Similar to a salve, a balm is an ointment or preparation used to heal or soothe the skin. Quincessentials hand balm soothes dryness, heals cracks and generally helps tired hands (and flaky elbows). If like us, you garden or work outside regularly, you know how hard the dirt, sun and sweat can be on your hands. Our hand balm helps your hands to stay healthy. Hands are the workhorses of our body. Everyday exposure to free radicals and the elements takes a toll on your skin. Our Hand Balm offers ample protection and nourishes your hands. The pure ingredients of Quincessentials Hand Balm, nurture and protect your skin. Did you know that many hand creams, hand lotions and hand moisturizers contain chemicals that are fillers, binders and preservatives. Those ingredients contribute nothing to or worsen your hands’ health or well-being. 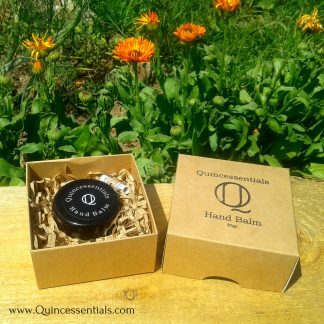 Quincessentials Hand Balm is an all-natural hand balm made from only the finest and purest ingredients from Mother Nature. Our nourishing balm makes the ideal everyday balm for dry hands. Its small container means you can easily stash it in your purse or gym bag and keep those hands moisturized while on the go. And, you won’t have to worry about parabens, phthalates or artificial fragrances. Massage this ultra-moisturizing balm onto chapped, dry hands for instant relief. It works best just after washing to lock in moisture. Quincessentials Hand Balm also works great on dry elbows or knees, be sure to give it a try. Previous post: Alcohol based aftershave or After Shave Balm?